When the ticket arrived at the lottery office weeks later, the staff were puzzled. Why had someone trusted a $200,000 prize to the mail? Then they realized the winners must not have known the size of their win. 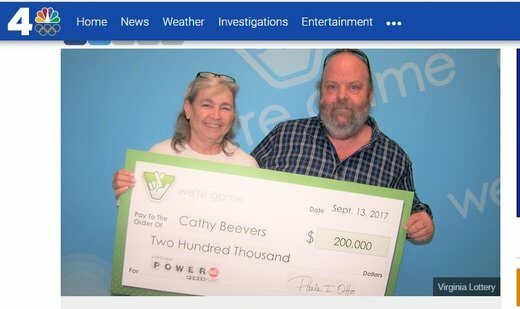 So lottery officials got on the phone to Cather Beavers and told her the good news, which must have floored her. She decided to drive to the lottery office in person to receive the prize. Now the couple say their windfall will be spent paying off their bills and getting their trucks repaired. It was at a truck stop where Kenny bought the big winner. His ticket matched four numbers and the Powerball, which would have meant a prize of $50,000. But since he spent an extra dollar for the Power Play option, his prize quadrupled to $200,000.